The U.S. Housing market will continue to recover. 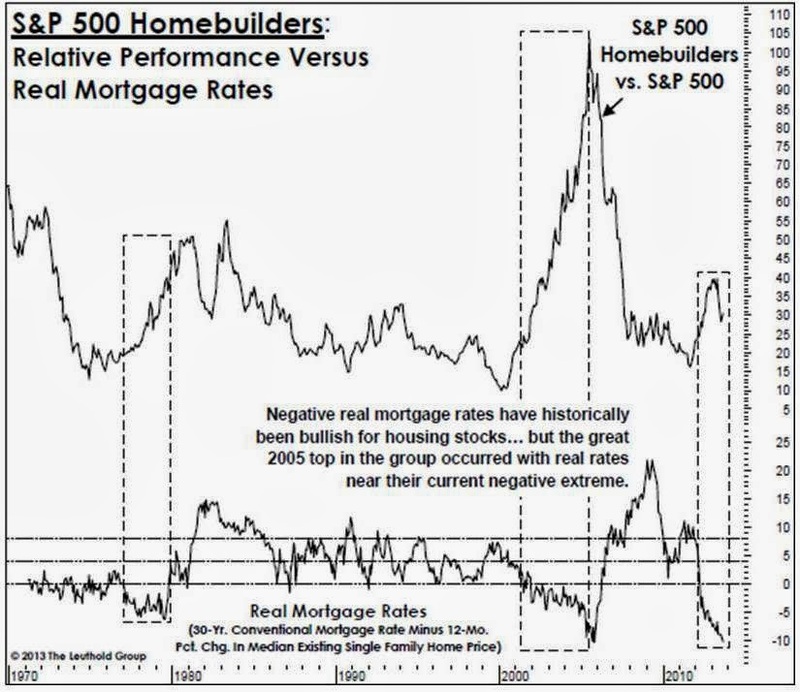 Nominal Mortgage rates are what we see in the newspaper. Real mortgage rates adjust the nominal by subtracting annual inflation from the median house price. That takes into consideration that debt to buy a home costs less (in real terms) as the asset being purchased increases in value. 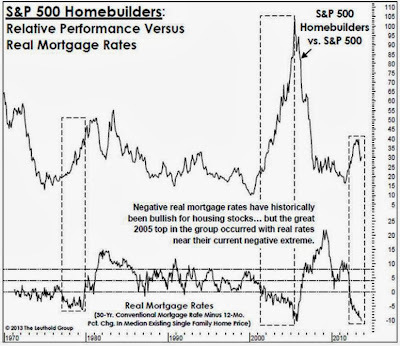 The recent period of negative real mortgage rates signifies that people who have bought property, measured on a nationally aggregate basis, have made great purchases of property. This is one metric that actually objectively says, “…now is truly a good time to buy a home.” Despite the recent slowdown in price appreciation, the cost of financing side is still in our favor. The recent housing rally doesn’t need to become as lofty as the previous to manage respectable appreciation from this point either. 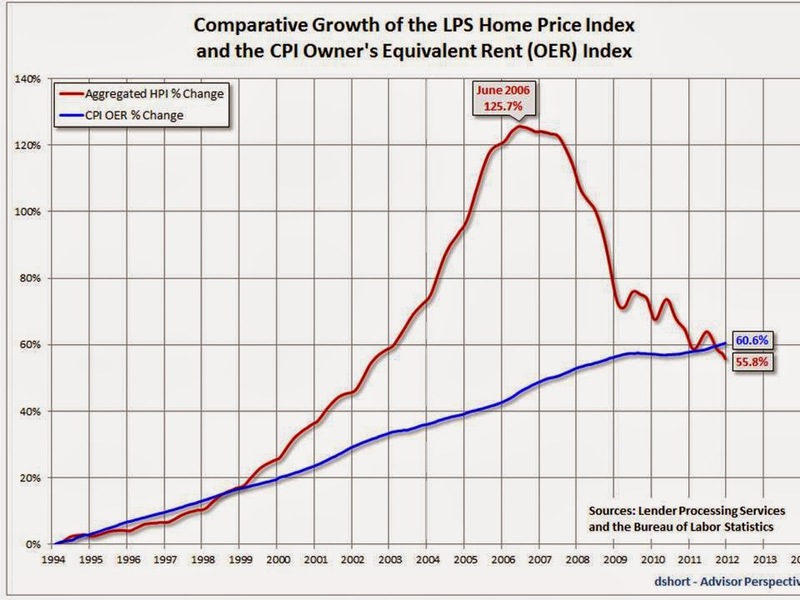 Fundamentally, there are reasons behind demand - income levels, ability to qualify, etc. - but technically speaking, the lack of supply issuance (above chart) suggests that there hasn’t been housing starts (construction metric) for quite some time. Due to this lag, don’t be surprised to see appreciation in housing on the fact that there is a delay to new supply (click on charts to enlarge). The Consumer Price Index, or CPI, is one of the most loaded figures invented by man. The paradox here is that peoples’ past consumption decisions determine the metric’s current output (demand pull or cost push), and based on that output, people have a tendency to change their future decisions because of it. Or we can just call it what it is: past behavior is a predictor of future behavior. 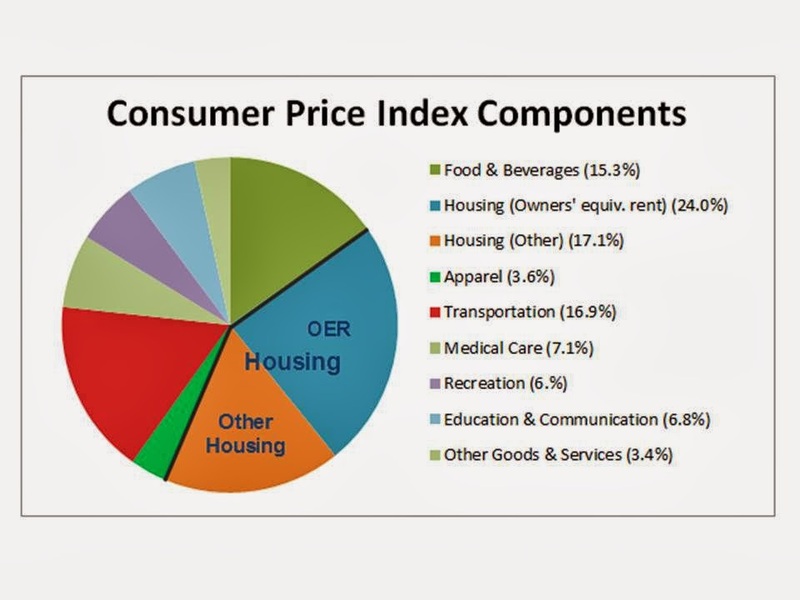 There are two separate housing-components within the CPI index—the common conception of what it is, and the ‘Owners Equivalent Rent’ (OER). 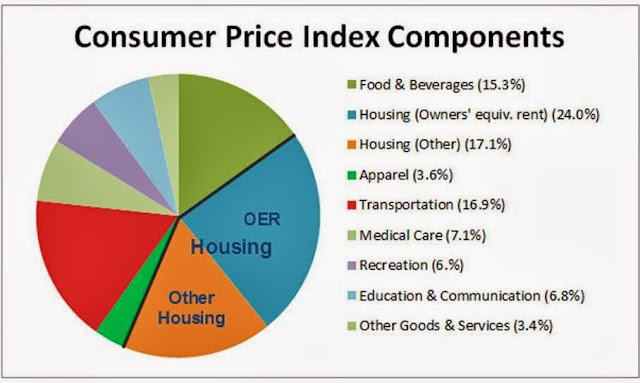 The dirty secret here is that the CPI does not track home prices per se, because the OER concept is really just a proxy. This portion that makes up nearly one-fourth of the index value is an answer to the question: “If someone were to rent your home today, how much do you think it would rent for monthly, unfurnished and without utilities?” You should be asking your agent this question so you have a better idea at arriving at the appropriate negotiation value for your home (future blog to elaborate). Minor premise: The Owners’ Equivalent Rent, which we acknowledge has limitations, represents the rent-demand pricing power built within an existing home. The increase in home qualification standards, supply constraints, and the change in existing home owner behavior has justifiably increased the fundamental case to establish a floor price on home values. Argument: the OER specific to one’s region is the qualification number to the CPI. This is the equivalent of the earnings power rising for a company over time. As long as the OER shows strength over time, and it has, then the nominal price of a home will eventually reflect that intrinsic value. 1. Getting pre-approved & pre-qualified are not the same thing! Getting pre-qualified determines that one is likely to qualify for credit, while the pre-approval implies that a credit decision has been rendered. 2. The appeal of a bid made on property in many cases does go up when the letter from a lender is ready to go. However, in many cases it will not offer an advantage because it is required. 3. Debt-to-income ratios are what it’s all about: financial institutions want to know where you were so they can understand where you will be. The bank is actually building your balance sheet for you! You are allowed to ask for your personalized report. 5. Historically speaking: the mortgage-lending business arose in the 90’s on the value proposition that “real estate agents should spend more time with clients and less with the banks…” Call it right or wrong, but the fact is that there is another layer in the process. An agent’s responsibility is to aid in the financing process however possible. 6. It is ultimately a loan officer, and not a mortgage underwriter that approves your loan. Depending on the institution one can feasibly influence approval through qualitative arguments. 7. Student-loans are a very important consideration. Recall the importance of debt-to-income before and after the home purchase. If you are only interested in the how questions, please come and speak with me so that I can walk you through the process. Here I have given a few of the why explanations surrounding the process.